It was shocking and sad news. SHINee's Jonghyun died on December 18, 2017. He has suffered from severe depression, and before committing suicide, he sent his sister a text message that read "It has been hard. Please let me go. This is my last goodbye". Even though it has been about a month since his death, countless people are still expressing their sorrow at the idol star's death. 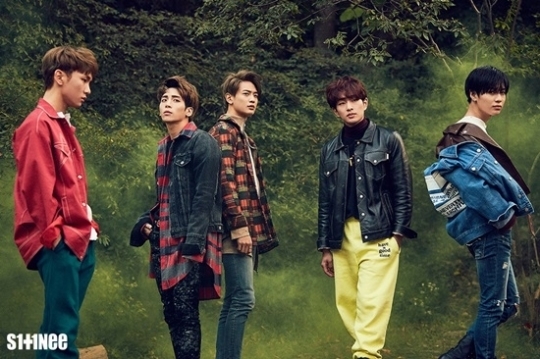 By the way, on January 9, the rest 4 SHINee members announced that they'll resume their career as a 4-member group. They posted their handwritten letters on their official web site, stating they'll hold their dome concert in Japan in February as planned. However, it seems there are many people who are blaming SHINee for resuming their career as a 4-member group. They insist that the members decided to resume their career only to earn money, saying SHINee members don't even care about Jonghyun's death. Well, what do you think? When Jonghyun died suddenly, of course, the rest 4 SHINee members were with profound sorrow. They couldn't even afford to think about their concert or career. Since Jonghyun was a main vocalist of the team, some people even raised the possibility of the breakup of the 10th-year boy group. In this situation, about a month after Jonghyun's death, SHINee members announced that they will resume their career. Do you think it is all because of money? No. SHINee members are still having hard times, but they made such a decision to keep their promise with many people. First, yeah, they decided to resume career for their fans who have been looking forward to their concert. But that's not all. When a k-pop idol group hold a concert, a number of people, from dancers to sound engineers participate in the concert. What do you think it means? If SHINee decides not to hold their upcoming concert, many people will not be able to be paid by participating in the concert. Actually, in this hard situation, SHINee members don't need to hold their concert if all they want was money. The top class idol stars have already earned a lot of money. But what about dancers and sound engineers of their concert? They're not as rich as SHINee members, and they need to earn money by participating in SHINee's concert. In a word, 4 SHINee members decided to resume their career not because of themselves but because of people around them including their faithful fans. That's why we should not blame them for resuming their career as a 4-member group.